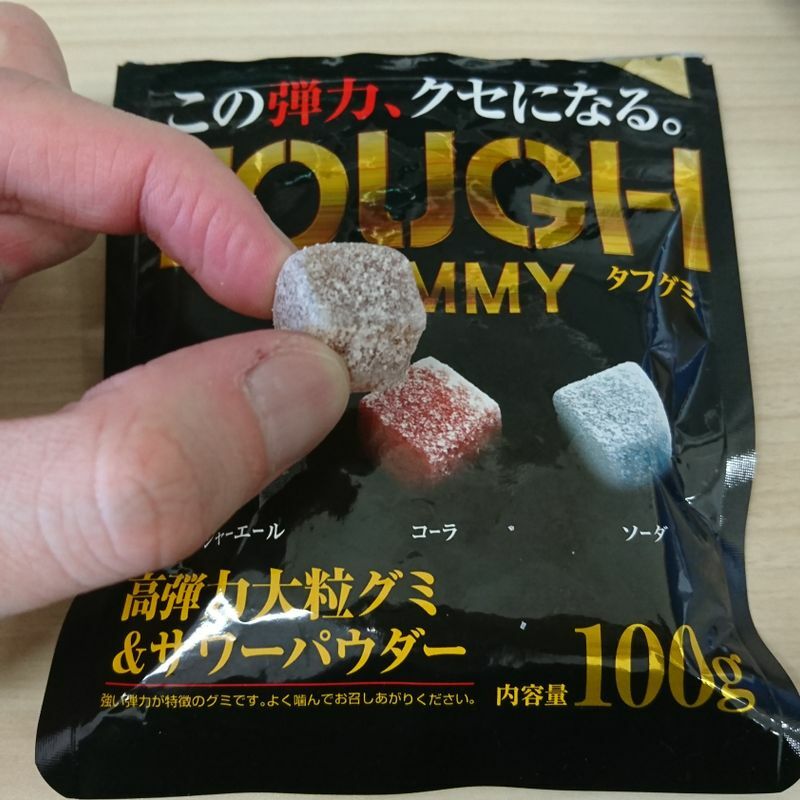 As a fan of gummy candies, my top criticism towards ones in Japan would be that they are not tough enough. Just a few chomps in, and they are already broken into bits. That is why Haribo is my go to, but I wish Japan has some tougher gummies too. The name itself cannot be any clearer. It is from my experience the toughest gummy you can get. The 3 flavours (cola, soda and ginger ale) are good but not great, and I always enjoy the later of sourness coating each gummy. It satisfies me well when I want something to chew on. One more good point is that the bag is quite heavy. 100g for about 180yen, I know I will not be running out anytime soon. Ahhh, man! I love these things. And they do do what they say on the packet. They've got to be so bad for you teeth though! Use with restraint, I say!